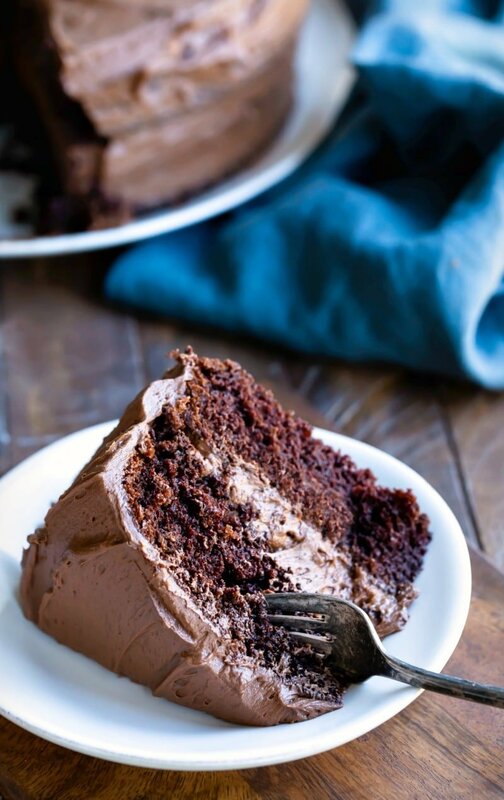 Chocolate fudge cake is a simple, one-bowl chocolate cake recipe that makes a super moist and chocolaty fudge cake. Perfect chocolate birthday cake! Includes tips and step-by-step photos. 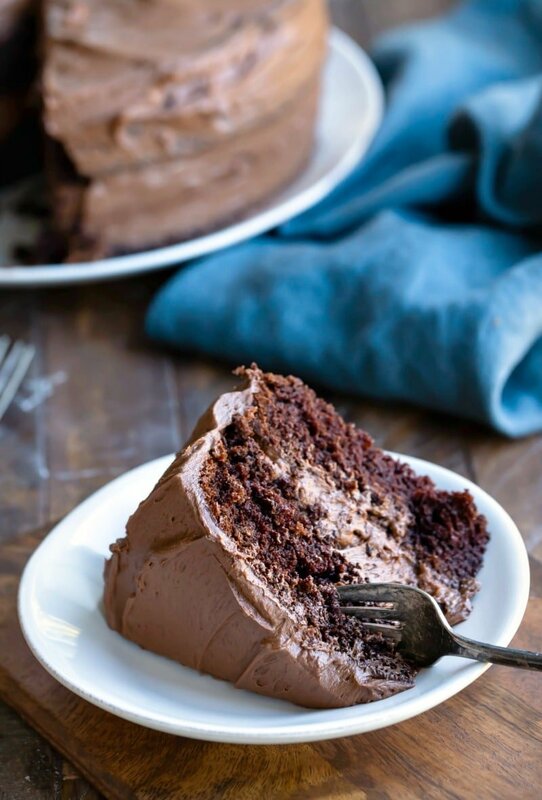 There’s just something that’s so satisfying about a slice of rich, moist chocolate cake! As much as I love more extraveagent desserts like my French Silk Brownies, some nights a big slice of delicious chocolate cake is just the thing. 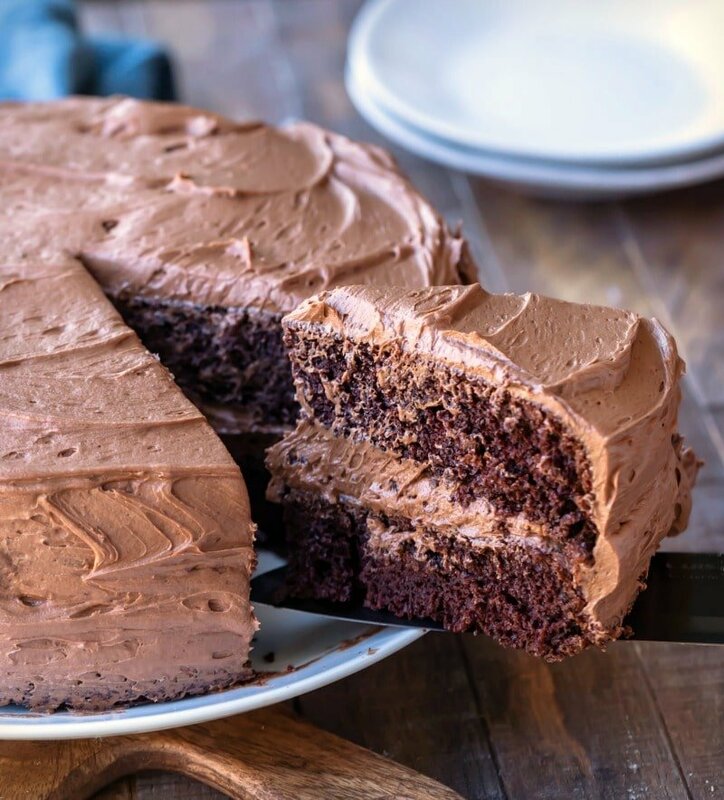 This chocolate fudge cake is a simple cake. It’s made in one bowl, and it’s easy to mix up by hand. But don’t let its simplicity fool you! This is a super moist, super chocolaty cake! It makes a perfect chocolate birthday cake, but it’s easy enough to whip up on a weeknight. So, it’s perfect for whenever the cravings for chocolate cake strike. This is a simple, one-bowl chocolate cake recipe. First, you’ll whisk the oil together with the sugars. It will be clumpy and look like wet sand. Then, you’ll whisk the eggs in one at a time. Next, whisk in the sour cream and vanilla until combined. Then, the dry ingredients (flour, cocoa powder, baking soda, baking powder, and salt) are whisked in. The batter will be thick. Last, the warm water is whisked in. Then, the batter is divided between the prepared cake pans and baked. Here are a few tips to help you make the cake. First, don’t overmix the cake! I recommend mixing it by hand. 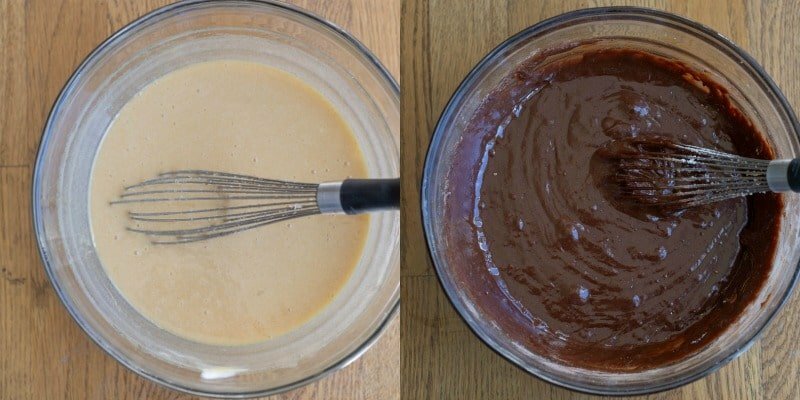 This cake is really easy to whip up, and it’s much harder to overmix if you’re mixing by hand. Second, warm tap water is just fine for the water. You don’t need to heat it or do anything special. Third, this cake is a little different than most cakes. For this cake, you’ll want a few fudgy crumbs still attached to the toothpick. Fourth, I highly recommend greasing your cooling rack with a little nonstick cooking spray. Really moist cakes like this one can stick a little, and spritzing the cooling rack can help the cake lift right off. I store any leftover frosted cake covered in the fridge. The cake stays good in the fridge for 3-4 days. 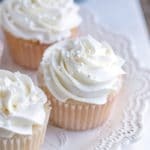 Or if you’re looking for something beyond chocolate or vanilla frosting, you might prefer salted caramel buttercream frosting or Oreo frosting. 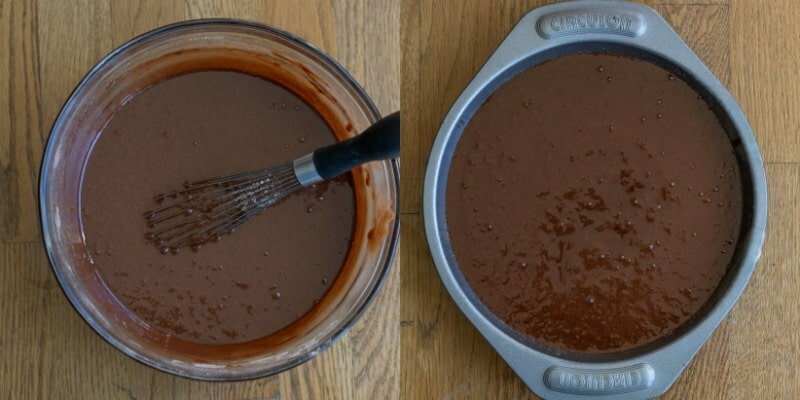 If you’ve tried this chocolate fudge cake recipe, don’t forget to rate the recipe and leave me a comment below. I love to hear from people who’ve made my recipes! You can SUBSCRIBE to receive my latest recipe newsletters or FOLLOW ME on FACEBOOK, INSTAGRAM and PINTEREST for even more delicious food. 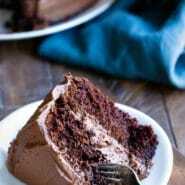 Moist, rich chocolate fudge cake recipe. Check out the tips, step-by-step photos, and frosting suggestions above the recipe. Preheat oven to 350 F. Grease and flour 2 9-inch round cake pans. ** Set aside. 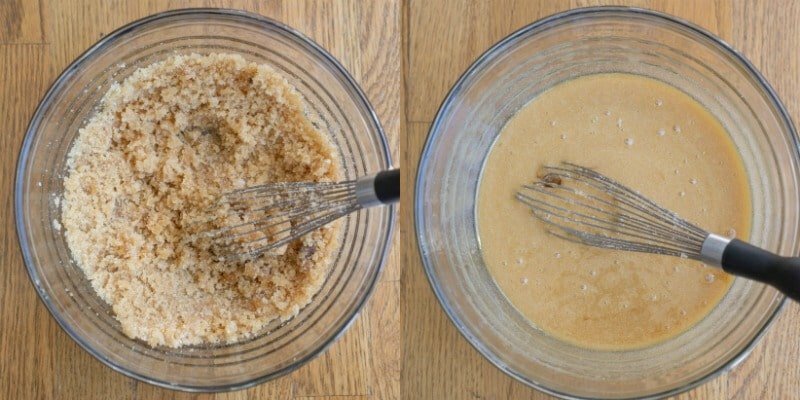 In a large bowl, whisk the oil and sugars together until combined. It will look like wet sand. Add the sour cream and vanilla, and whisk until combined. Add flour, cocoa powder, baking soda, baking powder and salt, and stir until just combined. Batter will be thick. Stir in the warm water just until combined. Bake for 25-35 minutes, or until a toothpick inserted into the center of the cakes comes out with a few fudgy crumbs attached. Place the pans on a wire cooling rack and let cool for 20 minutes. Run a thin knife around the edge of each cake to loosen it from the pan, and then invert the cakes onto the rack. I like to lightly spray the cooling rack with nonstick spray to keep the cake from sticking. *Or 1/2 teaspoon table salt. **I like to use a nonstick baking spray that has flour in it. ***Looking for frostings to pair with this cake? Check out the suggestions above the recipe. Hi Kate 😊 this cake was beautiful! 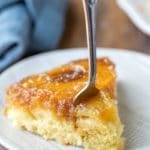 Easy to make and oh so easy to eat! Thank you, your recipe is an absolute keeper! Hi, can I use sunflower oil instead of vegetable oil? Sure! That should work just fine. Thank you! Are you looking for a chocolate cake that’s more of a genoise? I use a genoise in my sacher torte recipe, and you could pair the cake portion with my chocolate buttercream frosting. What a gorgeous cake! I love that you used the flour. 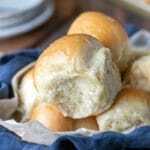 I’ve been wanting to try rye flour and will be using this recipe to for my first experience! This recipe was very easy and turned out amazing. Much better than I expected. Cake was moist and flavorful. I made your chocolate buttercream frosting and it also turned out fantastic. Next time I make the chocolate cake will try your oreo frosting. This is definately a keeper. Thank you! I’m so glad that you liked the cake and frosting. I hope you enjoy the Oreo frosting, too! Thanks for coming back to comment! Wonderful chocolate cake recipe! My husband went on and on about how good this cake was. Thank you for the recipe. it’s very beautiful to see. I like your explanation. thank u for sharing with us.